Omarosa with candidate Donald Trump at an October 2016 rally in North Carolina. I can’t imagine coming up with a more perfect construct for a dishy, cynical TV drama, a star vehicle that so neatly fits into an episodic format with season-long arcs. Omarosa Manigault Newman is unrolling her tale of revenge and need with the careful forethought of a David Chase or a Vince Gilligan, serving us crumb after crumb — even reaching back to her Trump-bashing on “Celebrity Big Brother” this winter — to make our mouths water for more. The narrative tension in play is admirable. I would surely be the envy of Shonda Rhimes, whose “Scandal” set the stage for the series, and who actually had to spend time inventing plotlines that would keep audiences watching. The Omarosa story arrives with its thematically dynamic outline — getting fired from the Clinton administration, getting fired three times on “The Apprentice,” getting fired from Trump’s White House, getting evicted on “Celebrity Big Brother” — already mapped out. And every day now, since she started her book tour, she pulls her tale in creative and watchable new directions — that the president has hit on her, for example, and that presidential daughter-in-law Lara Trump indirectly tried to buy her silence. I can picture six, even seven seasons when all is said and done. By the way, the show would definitely have to be named after Manigault Newman’s new book about her time in Trumpworld, “Unhinged.” Even if I changed her character’s name, the title would need to stay. Here’s the beauty of it: The object of the adjective would remain indefinite — does it refer to the president, to Omarosa, to those she undoes? — for the run of the series. I can already picture the critics praising the title’s clever ambiguity in their rave reviews. The show would absolutely need to be scripted. Of course we mostly compare President Trump’s administration to reality TV, for many reasons. He was a reality host on “The Apprentice,” but his reality cred extends much further than that. He manages his presidency with the tools of unscripted TV, complete with carefully timed reveals, offensive but attention-grabbing comments, and displays of dignity as boring material to be rejected and edited out. And Omarosa, too, is a reality-identified character, having shaped her villain persona in the genre — enough to be known simply by her first name. 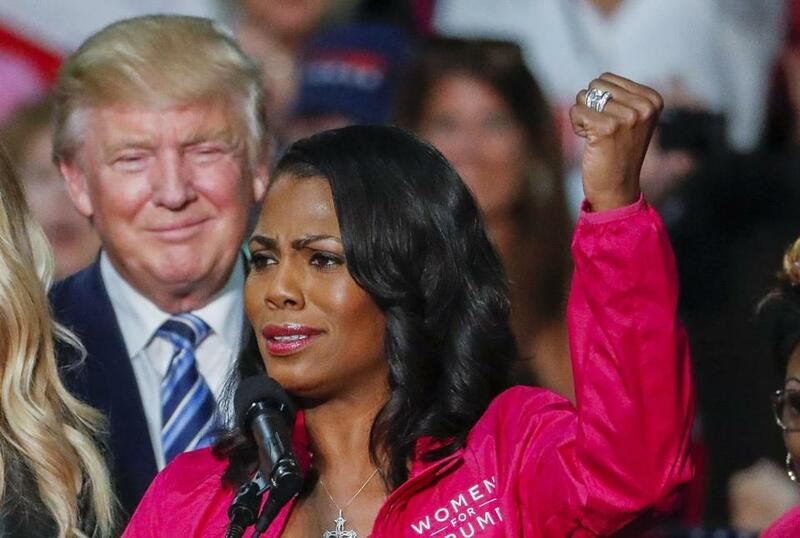 Omarosa Manigault Newman has released another secret audio tape that she says proves President Donald Trump wanted to silence her after firing her from the White House. But the Omarosa show would have to be scripted. The beauty of reality TV for producers — which is the evil of reality TV for viewers — is that it is generally not about morality. It’s all about entertainment and whatever makes people look, and those deemed winners are often celebrated for their unscrupulousness. Carefully scripted shows can carry more weight, as they invite viewers to think hard about their judgments of the characters. That has been the power of the anti-hero movement on TV since “The Sopranos” hit it big, giving us a bad guy to anatomize and ponder. We’re not just watching guys do cool bad things on the good anti-hero shows; we’re watching them actively make bad choices and — spiritually, emotionally — pay for it. And TV’s “Unhinged” would provide us with the anti-heroine we’ve been waiting for. For the past two decades, as anti-heroes such as Walter White from “Breaking Bad” have led the pack, I and many others have wondered why so few female leads have been given the same kind of complex treatment. Sure, there are plenty of female bad guys out there — just watch the enjoyable “Killing Eve” if you want to see a thoroughly evil lady with no center whatsoever — but very few complex ones. The short list includes Edie Falco on “Nurse Jackie” and Glenn Close on “Damages.” The exceedingly complicated anti-heroine on “Unhinged” will flash back to her studies at the United Theological Seminary in Ohio and her ordination as a minister, to contrast to her abominable behavior in the present tense. Indeed, the past will figure into the present in a big way. The show will begin with Omarosa on her book tour, but flashes of her time in the White House and on “The Apprentice” will emerge repeatedly, just as they do in all the current news stories. We’ll watch her taping conversations and phone calls, and we’ll see her on the scent of Trump’s rumored “n-word” tape from “The Apprentice.” She’ll be looking to undermine the president, even as she pledges her allegiance to him — the strangest, most twisted whistleblower in a long time. “Unhinged” will be overblown and dramatic, as it digs into the underside of D.C., showing the ruthless power struggles and dirty tricks through the experiences of a mischievous, malicious, narcissistic spawn of reality TV who somehow managed to get a job at the White House. Hey, I just thought of one more possible meaning for the title “Unhinged”: Us.